Why might you need a badger survey? Badgers are protected for welfare reasons under the Protection of Badgers Act (1992). The Act makes it an offence to intentionally or recklessly damage or destroy a badger sett or obstruct access to it and to disturb a badger whilst it is occupying a sett. As such, it is essential to assess potential development sites for presence of badger and to identify where setts are located to ensure that these are not damaged or badgers disturbed as a result of works. 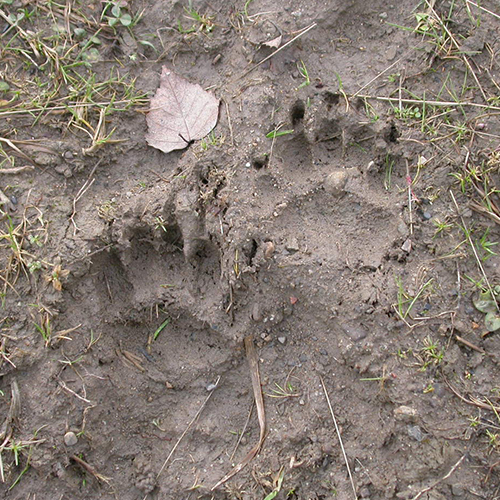 Preliminary Ecological Appraisal During the preliminary ecological appraisal, the surveyor will assess whether habitats on site are suitable for badger, as well as recording any badger setts and field signs of this species. Detailed Badger Walkover In some cases, full sites cannot be assessed for badger at the time of the PEA, and badger walkover may be required to gather more detailed information. The surveyor will conduct a walkover of the site, mapping any field signs and setts. Remote Camera Monitoring Where setts are present and may be affected by the proposals, additional monitoring with remote cameras may be recommended, in order to assess the type of sett present and whether it is active. Bait Marking In some cases, bait marking may be appropriate to assess the extent of badger territories. This method involves a surveyor mapping badger setts and latrine sites, then setting out bait, containing coloured plastic pellets which are harmless to the badgers. Different coloured pellets are used at different main setts and latrine sites can then be checked to identify territories of badger clans present. Reporting Typically, results of badger surveys will be incorporated into existing preliminary ecological appraisal reports. This will include impact assessment and recommendations for mitigation and/or compensation. Licensing If a badger sett is present within 30m of the proposed development and will be affected by the development, a licence may be required. E3 can advise when this is needed and assist with the production of a licence application and detailed mitigation and compensation design. Pre-works Checking Surveys In some circumstances, evidence of badger may not be recorded during initial surveys, but where suitable habitat for sett creation is present, pre-works checking surveys may be recommended. This would comprise a walkover survey, prior to works commencing, to identify whether any setts have been created. Further mitigation measures can be provided at this stage if badger setts are recorded. When can badger surveys be carried out? Initial surveys for badgers and remote monitoring can be carried out year round, although a peak of activity between February and April and again in October means surveys carried out at this time may be most successful. Bait marking surveys are best carried out between late February and late April, but can also be completed between September and mid October. E3 Ecology have worked on numerous schemes involving badger, and have experience of utilising monitoring with remote cameras and bait marking to fully assess badger setts and territories. We also have experience of the licensing process in relation to badger and can advise on this on a case by case basis.